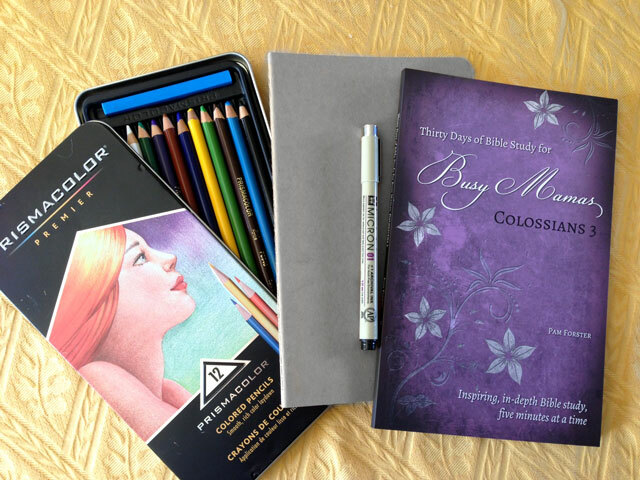 One person will win a Busy Mamas Bible study kit — complete with colored pencils, pen, Moleskine notebook, and one Busy Mamas Bible study of her choice. But everyone wins $10 in free merchandise from Doorposts! Here’s a chance to “buy” one Busy Mamas Bible study for free! Add at least $10 in products to your shopping cart, and type in the coupon code FREE10 to take $10 off your order! Be sure to order by midnight (PDT), Thursday, April 6. This special deal is only good as long as items are in stock. If you want a New Inductive Study Bibles, you’ll have to act fast. We have a limited quantity! To enter the giveaway, answer one or all of the following questions by midnight (PDT), Thursday, April 6. You can enter even if you haven’t finished the Psalm 91 study yet. You can also enter if you did not participate in the study at all. Each answer, in separate comments, will count as a separate entry. What suggestions do you have to improve Busy Mamas Bible studies? 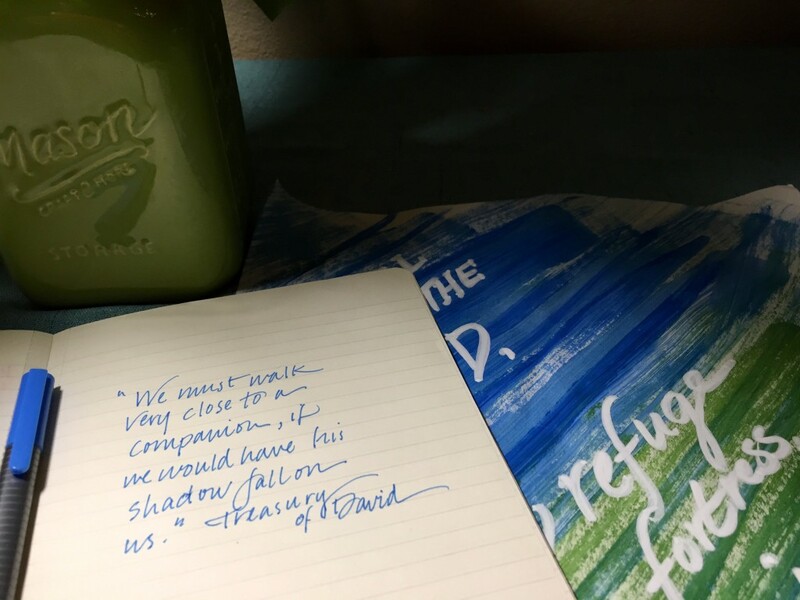 What is the most important thing you have learned from your study of Psalm 91? Share at least one verse from your personalized paraphrase of Psalm 91 (from Day 30’s lesson). What is the most important lesson God has been teaching you over the past six months? In the meantime, put your study skills to work in your own personal study time, and join me on Instagram (doorpostslady), where I am posting daily suggestions and pointers on Bible study and Bible-centered parenting and family life. We also post as Doorposts on Pinterest! Thank you for this study and this opportunity. God has been teaching me that he is my refuge, my place of safety, my home….that the world, my worries and fears, do not even come close to standing a chance against His truths. My emotions do not have to control my actions. Praise Him for that! Good comments, Christy! You’re right. Our worries and fears really don’t have a chance against God’s truths! My paraphrase is also the lesson I am still learning. It has become my prayer. “For I have made the Lord my refuge (strength, comforter, place of peace), even the Most High my dwelling (place I thrive to be and spend my time) place. No evil will befall me, nor will any plague (destruction, overwhelm, fear, injustice) come near my tent! A good lesson to learn, and one that will greatly bless you and your family! Most important lesson learned over the last six months–to feed myself healthy! Eating foods God made makes a huge difference in my health as well as in my thought process–and therefore spiritual life! Lesson learned from Psalm 91–that the battle is God’s business, not mine! My job is to take refuge in Him. He will protect me and carry me through anything in this world of sin. He is trustworthy, and I can relax and rest in Him! A good and honest prayer, which God will be pleased to answer! Honestly, I would not change anything about the Doorposts studies. They are such a blessing just as they are! Thank you so much for doing this! -I haven’t finished the study yet, I had my babe right in the middle of it 🙂 but so far I’m learning more about God’s character. He is faithful and we can count on that every single time. Congratulations! What a wonderful blessing to have your first child, and at the same time, what a great opportunity to trust God more! The lesson I’ve been learning over the past six months is pray and trust Him instead of opening my mouth and not waiting on him!!!! As our kids got older, this lesson finally started to sink in. I started seeing that keeping quiet and praying was far more effective than my comments and attempts to steer things. I think that you are doing a great job. Definitely keeping the lessons short is the best. I felt that with the psalm 91 study, you did a great job of that. There was never a lesson I felt overwhelmed or couldn’t complete in my morning time. To abide int he Lord. This psalm helped me visualize in my mind what it means to step into the Lord, as I would step into a fortress. I trust in Hid protection from evil and I know that I will be delivered and that He will be with me. V4- The Lord God will place his wings over me so that I will be protected from everything. I will happily cuddle up next to his breast to be in safety and guarded by Him. He is so faithful that he will fend off ALL evil and wicked elements like a shield. It will all bounce away and won’t harm me. He is my protector. That having the scriptures memorized and in my heart is the best way for me to live in Him. If I want to strengthen my walk with the Lord, this is an amazing way to do so. It forces me to meditate on the Word all day long and even in my sleep. My dreams end up being about the scripture. I’m glad to hear that the lessons were a good length for you during this study. I’m really trying to keep them short, no matter how badly I want to add more in a lesson! I love that your dreams are incorporating what you’re reading and memorizing! This was a great study and it really came and the perfect time in my own life. God is so good to bring us just what we need from His Word when we need it. I had just finished reading through the Bible and wanted to dig deeper. The only suggestion I would have is that some of the days were really short and I was sad that we didn’t have more to study. I know these are meant for busy moms and I appreciate that because I have 4 kids but I would have liked to see the days a little longer. I think it’s good for us to sacrifice sleep or something else to be in God’s word longer. It’s so important. Thank you for all the time and effort you put in to this study. May God deeply bless you!! You win the prize, Laura, for being the first person to say that she wishes the lessons were longer! 🙂 It’s tricky sometimes, deciding how much to include in each lesson, and I do try to keep the first lessons pretty short. I was wanting to memorize scripture this year and even though I’ve done several of your studies I haven’t ever memorized them. This is the first one that I have really put effort into memorizing. I’m so glad that I have because God has brought these verses to my mind many times over the past month as I’ve prayed over my own life and the life of friends who are suffering. The most comforting thing from this chapter in Psalms has been that promise that God is with me. He is my shield, bulwark, dwelling place, refuge, and fortress. He promises that when trials arise that He will always be there to hold me fast. I have no fear because He is my God in whom I trust! I’m so glad you’ve been memorizing Psalm 91. It’s such a good passage to have in our hearts — for our own comfort and for encouraging others. God has been teaching me that He is sovereign over everything and that I need to trust Him. I have several friends and family members who have dealt with cancer and loss of loved ones. God has also brought about some major changes in our family that have required that I trust in Him more so now than I have in the last. Psalm 91 has been a comfort and a reminder of all of God’s promises. Cancer has changed the lives of so many I know, but God is gracious and sustaining those friends and causing them to love Him more deeply. He is providing for them in ways that have been amazing to see. I’m so thankful for His salvation!! Thank you so much for this study! It has been a huge blessing to me! I am a bit behind, on Day 26, but that’s ok! The Lord had a plan! My mother in law has been suffering with Stage 4 metastasized breast cancer for 2 and a half years. She had to have another scan last week and the Dr. was calling her before she even made it home from the appt. The next morning, as we were waiting for the scan results, I was on day 24, vs 11. In my journal, I wrote: “The Lord did not say that we would never get sick or face troubles, but He DID say that He would be with us. As I sit here early this Fr. morning waiting to see what calamity awaits our family as Mom Brown gets her scan results today, I am humbly reminded that He does all things well. Our ways are not His ways, & as Spurgeon says ‘the most crushing calamities can only shorten his journey & hasten him to his reward’. We have the HOPE OF HEAVEN <3"
Thank you so much for this study. It is such a blessing in my life! I am still getting through the study, but this Psalm is beginning to feel like a cozy blanket. I am loving all the Lord is showing me! HE IS MY GOD in whom I trust. This is so timely as I am going through a transition in my homeschool and preparing to start my first child in a college course load in high school next year. I don’t want to be wordy here, but I love the imagery of v. 4 also, “His faithfulness is a shield and buckler”. Thank you, Pam, for giving of your time for our benefit. I look forward to the study in July. You’re welcome, Julie! I agree. This psalm has wrapped itself around me and brought great comfort and rest. I thing that really stood out to me is that Only he that ‘ dwelleth’ in the secret place shall abide under the shadow of the almighty. If we don’t dwell there continually then we aren’t continually under the shadow and protection the shadow offers. My prayer is to continually stay in the secret place! Thank you for putting together this study. I made it through nearly all the lessons this time! There are a few in my notebook followed by a blank page so I can go back and dig a little more deeply. The study came at a perfect time in my life for learning about fear. It is something I struggle with a lot and causes me to be anxious and emotionally edgy. There were a few life circumstances during this lesson that especially needed me to “not fear”. I have been trying to pray ” I will not fear even if xyz happens because I know you are with me in this trouble.” Since you are open to suggestions I would like to do more study on “who I am in Christ.” I feel I need to spend time in that area programming my mind with Christs thoughts of me and his finished work rather than the lies that sneak into my head and cause me to feel discouraged. Have you done our earlier studies on Romans 8 and 1 John 3, Amy? Those might encourage you as you think about your position in Christ. Thank you for this study on Psalm 91. I haven’t quite finished yet (I am only on Day 28), I am enjoying working at a slower pace & looking forward to continuing the study for a bit longer. One of the things that has stuck out to me the most is how we will face trials as Christians. I needed the reminder of God as my refuge, my fortress, his truth is a wall before me, he is walking along side me every step and protecting me from greater dangers. Over the past 6 months God has really been working in my heart that I have let him slip to a lower priority & I need to start putting God first in everything. First step, is instead of waiting till I finally have a quiet moment, doing my Bible reading and study first thing in the morning, even if that means getting up extra early. Trying to keep God first is also a necessary step in setting the best godly example I can for my kids. I get discouraged when I don’t see the love for Jesus in their lives as it has been in the past, but this could just be a mirror of how my own life and priorities are. The Lord has been teaching me to trust Him in all circumstances, to trust His promises, and know that He is working all out for my good because of His great love for me! I think the most important thing I learned from my study of Psalm 91 was the blessings that come with trusting in God. 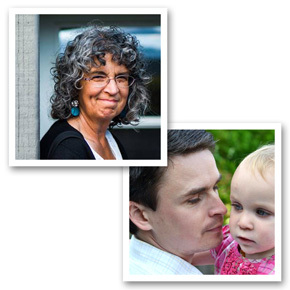 I really appreciate how Pam pulls together so many resources in these studies–I wouldn’t ask her to change a thing. I believe that with this method of study, the Holy Spirit can really speak to a person on a more personal level through the Word. In the last six months, and beyond, the Lord has been impressing on me that He is my strength–He is able, and will enable me to do wha He has called me to do. I love these studies and have learned so much about how to delve into God’s Word on my own–I would not change a thing!! I love how personal Psalm 91 has been, how I feel that God reaffirms over and over: put your trust in Me, I love you and will protect you. I’m sure it will be a Psalm I return to over and over for reassurance and comfort. I too have appreciated how personal this psalm feels as we’ve become more familiar with it and as I’ve memorized it. The “you” in the psalm is singular. It’s addressed to one person — the person reading the psalm. God is teaching me to trust Him in all things… not just some things, or the big things. I’m learning that He cares about the details and that I truly miss out when I charge forward without Him. He is so faithful and so true – where would I be without my Redeemer? Thank you for this opportunity. I’m in my first of these studies, and it has been like a breath of fresh air to find them after struggling for almost three years to get some time in the word. I can’t think of any way to improve them, unless there is a way to make doing word studies easier. I always seem to get hung up on those lessons. The word studies will get easier as you become more familiar with the process. But they do take a bit more time than other study methods. So much to gain from them, though! I think your studies are wonderful and I don’t have any suggestions for improvement. I especially love the section you include for the children. The lesson the father has been trying to teach me for the past six months is how to deal with stress properly, and in ways that are not harmful to myself or my family. Thank you for another great study. Though I have done a couple of your studies before and should know all the elements to doing this type of study, being able to follow a day by day format as you do online, for some reason allows me or motivates me to do the study. I just need to make more of a point of doing it on my own, I guess. I think I appreciated this particular study the most, of the ones I have done, because Psalm 91 was a struggle for me to trust in the past. Using the various online Bible tools I was able to understand it better. It was also very encouraging to me to read your own personal thoughts on each lesson. Thank you for the work you put in to doing these studies. They are a highlight for me. You’re welcome, Jennifer. I’m glad you’re finding encouragement and motivation with the day-to-day lessons. Sometimes that’s what we need — some structure, some guidance, some fellowship. If you haven’t done other studies with us, make sure you check the archives of the blog. There’s about a dozen studies there that we have done in past years that you can use. We may also do a rerun of a study in May, where I post previous lessons each day on the Facebook group page. I want to see how much interest there would be in that idea. The most important thing I’ve learned from the Psalm 91 study is how often I don’t trust God, and that it’s okay to do so. In fact, it’s quite freeing to trust him. In the past six months, I feel like God has been really teaching me about calling. 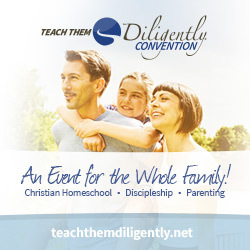 As a stay-at-home, homeschooling Mom, I have often felt that I’m not doing “enough” for God, and he has shown me that I only need to be faithful to what he has given me to do, and I’ve found that a hard lesson because I’ve often shirked my actual responsibilities for those that seem more “glamorous” and “desirable” as a Christian servant to me. The most important lesson God has been teaching me over the past six months is seeing others as He sees them and loving them as He loves – even those who are hard to love; even those who don’t know Christ; even those who are struggling with great sin; even those who are closest to us. It’s been a hard lesson, but needed! I haven’t been able to be very consistent with the study in Psalm 91. The one thing that has been emphasized to me each time I read this Psalm has been rest. To just rest and not allow life to get me stressed out. To take time to enjoy my children instead of responding to them in stressed out mommy mode. Yes, I think much of the stress of mothering dissipates when we learn to rest in the Lord. Our children are a gift; it’s easy to forget that, when we try to do more or control more than God has designed us to do. My paraphrase is of verse 9. I was not able to do the whole chapter, so I picked out the verses that seemed the most needed in my life right now. Because I have chosen to rest in Yahweh – take shelter from the stress of life in Him, He will give me victory over the evil I do to those in my home by reacting to the stress in sinful ways. Great idea, Krista (other than the fact that it requires me sitting in front of a camera…)! The most important thing I am (still) learning from the Psalm 91 study is that God uses trials and hard providences in our lives, but as bad as they seem to get, they cannot consume. He will always prevail over every dire circumstance. Nothing can separate me from His love and care. I am not always acting on that belief, though, so one thing I’ve been praying after going through this study is that He would remind me of that truth and give me the faith to believe it. The Lord has been teaching me many things over the last six months. But most of it boils down to taking every thought captive. Thank you so much for all you do to encourage busy moms! The most important thing I’ve been learning the past six months is submission, mostly in the area of my diet and exercise. I would much rather eat when, what, and how much I please rather than what is good for me. I’d much rather laze about than move. But I need to submit to what I know is the right thing to do, and not submitting here is sin. Self-discipline is definitely something God has called us to! Sounds like you’re on a good path, Anni! I can’t think of anything to improve! I love it so much. I love the variety of helps and assignments. I love seeing your artsy pictures! And I love that I learn something new each day. It has really helped me grow. I used to attend Precept Bible study but can no longer get there due to my schedule. Your study keeps me in the word in the same way. Love. Love. Love. The Lord has been teaching me that He is my refuge. That idea has been showing up all over the place. Also, I am still memorizing it, but the Lord has used it in two situations already where I had it memorized and could quote it: 1. for my friend with a medical test and procedure 2. when I was in a scary situation in downtown. I’m so thankful that you encourage us to memorize. I love hearing how you all have been able to use what you have memorized to love and encourage others! I have not been able to do this study, but I want to start it soon. Your studies are the best I have ever done! Studying this way helps me to remember and learn so much more. I have done the ones I’ve done online, but would love to have a physical book to work with. I am learning surrender in my time with the Lord. Surrendering everything to Him. There are some really hard things happening in my life right now, and I have to continually surrender them to him. He is in control and He is good. Funny I was reading Psalm 91 last night, and I have not been doing this study. Praise God for his love and faithfulness! Thank you Pam for all your hard work! The only thing that I can think of to make Busy Mama Bible Studies any better is to have them all of the time 😉 I look so forward to March, July, and November. These studies are the highlight of my year. I always learn so much from them. Thank you, Pam, for doing this, I know it’s a lot of work on your part, but the benefits are eternal! The most important thing I’ve learned from Psalm 91 is to Abide under the shadow of the Almighty! This study came at the perfect time in my life. Right now I have a lot of “storms” going on and this study was a GREAT reminder of Who is in charge and on Whom I am depending, and I am being protected by the Most High, He is my refuge and my fortress, my God. I can trust Him. I don’t have to be afraid of the “noisome pestilence” or the “terror by night” or the “arrows that fly in the day”, because while others may be falling around me, I am safe, God has His angles holding me in their hands. I could go on and on about this, but for the sake of time, I will end it here. I believe this has now become my favorite Psalm! I have thoroughly enjoyed the Psalm 91 study. The one suggestion I have for the study is to keep the lessons short. I do my study at 4am (most mornings), so I don’t have kids interrupting, but some days it took me over an hour to complete the lesson. It may have been the hour (still groggy) or it may have been my “need” to write down everything instead of just reading and thinking, but some lessons were definitely shorter than others. I didn’t mind spending the time, but I know that not all moms are able to devote that much time in their current season of motherhood. The most important thing I have learned from this study is that I can find my rest in Him. Being a busy homeschooling mom with a husband that commutes 100 miles each direction for work, I don’t get much time away from my kids, so my time with the Lord can be my rest. He can rejuvenate me and give me the strength I need for the day through my time with Him. I found what you’re saying to be so true in my years as a mother of little ones. My time with the Lord in His Word was what rejuvenated me. It was my “reset button” that reoriented my attitudes and gave me peace. My paraphrase is: Sara, because you have delighted yourself in Me and loved Me, therefore I WILL bring you to safety, I WILL exalt you because you know ME. Sara, when you call on Me I WILL answer you, when the storms come, I AM going to be with you and rescue you and honor you. I AM going to enrich your life and give you VICTORY! Vs 14 surely she longs for and has joined herself to Me, I will bring her into security and safety. I will defend her Because she has learned to know, experience and declare My name, glory (My character). No evil will be allowed to befall me without God’s permission and presence. Nothing bad will come near my tent without the end result being for the glory of God. He doesn’t promise us a life without danger if we dwell in Him. Instead He promises to always be with us, giving us the strength we need along the way. The most important lesson God has been teaching me over the last six months is to keep realistic expectations. • What suggestions do you have to improve Busy Mamas Bible studies? I’d really like to have a pre-typed document of each passage to go along with each study. A beautifully crafted, frame-worthy document. I am trying to make scripture be art in my home, and I keep copies of verses and sayings all throughout my house – I’d love to add these to my collection or even add them just to my journals. • Share at least one verse from your personalized paraphrase of Psalm 91 (from Day 30’s lesson). • What is the most important lesson God has been teaching you over the past six months? To trust Him in the storms. We’ve been hit with so much these last few months, but especially the last few weeks. My refuge is not found anywhere here on earth…it is only found in God! He is my warrior, my protector, and the only one who can & will win the fight. My attempts are feeble at best. Thank you God for opening my eyes to this truth!! Yes! God is our only true refuge. He is the unchanging, unfailing, impenetrable fortress we not only run to, but should also dwell in. God is showing me, in the last six months: less of me, more of Him. And I fail Him sooo often! In conjunction with this, He has recently shown me that I do, indeed, have time for prayer and Bible study. I am ashamed that I had/have allowed so much else–so much busy-ness–to push that to the fringe of my day. It’s so easy to start thinking we’re too busy to hear what God wants to say to us. What a stressful mess we can create when we try to do life without His Word! As I mentioned in a previous comment, there have been a lot of storms in my life over the past year. I have had opportunity after opportunity to call on the Lord to heal my hurting and breaking heart. There have been days that it seemed as if the sun would never shine again. The actual weather around here lately has reflected the “weather” in my heart–stormy one day pretty the next or stormy in the morning and calm in the evening or vice versa. When you announced that we would be studying Psalm 91 I thought it would nice, but I wasn’t prepared for such a GREAT blessing straight out of the gate! Verse 1 has kind of become my motto lately– dwell and abide, Sara, dwell and abide! Thank you Pam! This study has been such an encouragement to me. I lost my mom unexpectedly almost a year ago. Also this past year I lost a dear friend to cancer. Several other family members went to be with the Lord, including my 29 year old cousin. It has been a heartbreaking year. Some days I just felt like I was in survival mode. The verses in a Psalm 91 brought such comfort to me, knowing that God had me close to him and he was sheltering me with his wing. We studied vs. 14-15 the week my cousin passed away and I knew that was a God thing. Thank you for putting this study together. I really needed it. It sounds like you have suffered a great deal of loss over the past year, Cindy. When we call to Him, He truly will answer. I’m glad God put Psalm 91 in your path right when you needed it. Things to change: The one thing I struggle with sometimes is identifying the verses that signify a specific thing we are supposed to look for (ex. which ones are metaphors, etc.) having at the bottom of the study a cheat sheet per say with those scriptures to refer back to make sure we fully grasp what we can in that lesson. I did notice this being demonstrated in some of the pictures which was really great! Other than that I love the variety of in depth learning opportunities to really expound on the truth and all that God is really able to teach us through his word. I can’t think of anything I would change about the Busy Mama studies. They have challenged and blessed me each time I’ve done one in all your different offerings, either Facebook, blog or print. This study couldn’t have come at a better time. The most important thing I have learned so far in this study is something I have been struggling with for quite some time – that my love and devotion to God pleases Him. I wrestle with lies that I can’t please God – that He does not delight in me – even though I am His child. (I have had issues with this with my earthly parents, so I think that has been part of the struggle.) But studying lesson 27 – that my holding fast to Him, clinging to Him, trusting in Him, abiding in Him actually “makes Him smile”. It thrills my heart to know that. That through repentance and faith, I can please the Father. God delights in His Son, and we’re in Him, so we share His righteousness. That means He delights in us, just like a father delights in his children. Most important thing I have learned: That no matter what comes my way, if I am first abiding in Him or returning to abiding in Him nothing can overcome me no matter how large it is. One verse paraphrased: When I dwell in the shelter of the Most High, I can rest in the shadow of the Almighty. Most important thing God has been teaching me: That I need to rest in Him and stop trying to do everything on my own. That He will work in His own timing and His own ways and I just need to be before Him (regarding sitting before His presence) and put Him before all things. I need to figure out how to address your suggestion. I’m wondering about discussing some of the “answers” in the following lesson. I hate to give a key at the bottom, because I really do want people to wrestle with the text, and it’s awfully easy to look at the key before that wrestling has taken place. Maybe we could have a link to another “hidden” post that provides answers for reference. Like you have noticed, I’m trying to show some of the “answers” in my photos. Thanks for encouraging me to keep working on this. I have completed Day 30 yet, but in Day 13 I think we paraphrased verse 1. “The person (me) who stays in the Highest/Uppermost will stay always close/near/beside of the One who has all might and all power.” He is with me always, no matter where and no matter what. The last six months…..it is hard to say the “most important” thing He has been teaching me – but I guess it would be that His Word is True (can be trusted to the fullest extent) and He is enough – no matter what happens, even if I am all alone – His grace is sufficient, I am covered, I am loved – that is truly all I need. Pam, this Study was excellent! Your comments & drawings were extremely helpful! Also, getting comfortable using the online study helps was very encouraging– I think I might even do some studying on my own. It was wonderful to go study related verses listed in the concordance. This is SO much easier than looking up verses in a traditional concordance in book form. THANK YOU PAM!!! The most important lesson that God has been teaching me in the last 6 months is that His ways are higher than what I imagine or how I think things should be. Trust Him. Yes, Laura! It’s so easy to shrink God down to our size instead of remembering that He is infinite, eternal, all-powerful, and so, so much bigger than we are! The most important thing I’ve learned from Psalm 91 is that if I make the Lord my refuge and trust Him, he will take care of me and my family. I love the busy mom studies and wouldn’t change a thing. I haven’t finished the Psalm 91 study, yet, but the most importal thing I’ve learned so far is how fiercely God loves and protects us. He is always looking out for our good. I love your choice of words, Sonya! He does love us “fiercely”! The most important thing God’s been teaching me over the last six months is how to keep Him and Bible study my priority. Life goes so much better, and I’m so much nicer, when things are in their proper priority. Thanks for this chance for free items and the chance to win. Within these past six months God has been teaching me that He has given me a vision for my life and that my dependence in that is on Him, knowing Him, walking with Him. I knew the later part before, but hadn’t grasped that my “little” vision is actually big enough and ok because it’s been placed upon my heart by God. 1. You did a fantastic job! I use blue letter bible and has scolded one time for assuming each definition was applicable so it left me wondering how to know which ones apply and which ones don’t. I am very bad about lengthy explanations even if they are simple so maybe a Short video how to with the research..? 2. A reminder that God is Sovereign and I can breath easier knowing nothing outside His will is going to come near me. 3. I don’t have to fear or be the least bit anxious about anything going on in the world, in my family, or to myself because He is my safe place. 4. The most important lesson He has been teaching me is that people will let me down and hurt me and that doing ministry means being under a microscope. Therefore my life should be above reproach and when someone still seeks to harm me I can stand before the LORD knowing I am right with Him. My God identity and dwelling in Him are what give me the security to keep serving and pouring myself out even when I want to shut everyone out. Regarding Blue Letter Bible definitions, I was actually addressing that in one or two different lessons, and then deleted that portion of the lessons because they were getting too long. I will try again in the next study! It’s not something I want to spend a lot of time on, but we need enough to not go off in the wrong direction by using the wrong definitions. “What is the most important lesson God has been teaching you over the past six months? : The lesson the Lord has been and continues to teach me is related to the unity of the Body. Part of me cringes at the word “unity” because it has been so misused in our society. Often “unity” means “anything goes.” Through a study of John, though, I have been convicted of the Lord’s desire for true unity in Him which is based upon His Word. Do we all have to believe exactly the same thing? Of course not, but true unity in Him (and thus in Truth) is the desire of my Lord’s heart. How can I not reach out past disagreements to love those who belong to Him? How can I not love those whom He gave His life for? I still have much to learn but this is definitely the lesson He is pressing upon my heart in this season. Yes, we need to love each other as Christ loves us, recognizing that we may disagree on some points, but sharing in the truths of Christ’s saving work on the cross! He is ever-present with me in any and all kinds of trouble. There will still be trouble there–He does not promise to remove THAT–but He will be there to help. He will put me completely out of the reach of my enemies. He will put an end to the trouble and suffering. He will set me on high and exalt me with the glorious kind of exaltation only He can give–the kind that brings Him the glory. He will show me the victory of salvation. I will exalt Him–He is glorious and merciful and powerful. Golly – not really – it seemed so perfect and easy to follow yet still deep. Amazing actually. How much time is invested in writing each day? Is this part of a full time job? Would you ever think of adding another study leader and have more than one going at the same time? How do you decide upon the next study? LOL. I spend a LOT of time on each day’s lesson. This past month has been a doozer with all sorts of other challenges added to writing the lessons. God was definitely giving me the opportunity to put the truths of Psalm 91 into practice! If I was writing a study every month, it would be a full time job and more. We’re actually exploring some ideas of how to keep going on this without taking too much of my time away from other Doorposts projects. You could be praying with us on this. I’m not sure about adding another leader. Are you thinking if we were rerunning one of the older studies at the same time as a new live one? Regarding the choice of the next study, I basically pray, read my Bible, listen to suggestions, consider the common struggles and needs of women and mothers specifically, and then look at chapters to see how they would fit into a month-long study format. That I can do nothing without Him working through me. Even studying the Bible, memorizing His word, sharing of His love, and worshiping Him all can turn into things I “do” and not really transform my heart and thinking. He is the one who works these changes I deeply desire and grants the strength and energy to seek Him and follow after Him. It’s hard–I realize that the farther along I go, the more I realize I don’t know, and the more I am in need of Him. Daily 1st thing in the morning with my coffee is the best opportunity to focus in on the Lord. Love the Spurgeon quote of how the Lord Himself is here speaking of His own chosen one in parts of the Psalm. That the word ‘rescue’ does not always mean to remove, deliver, or save from something but can also mean to equip, arm for war, or to make strong. And that the Almighty = Most Powerful so He is more than able to do anything He has told me. When I stay permanently near the Lord, I will talk to my Most High God ask for His help. He will hear me responding with answers and singing over me. He wants me to realize that I am not only His little girl but also a warrior in His army. He keeps me informed, provides me with strength and the tools I need in the war. It is my task to be prepared and on the offensive knowing He has already secured the victory. I always print out the bible study to work on it. I wish there was an option without pics for printing. I love the pics when I initially read the email. but not so much for printing. We need to work on this suggestion, Leigh Ann. It’s been mentioned before. I definitely want to include the pictures in the post, but I’ll bet there is a way to include a printable version that doesn’t use up so much paper and ink. Thank you for your spiritual mentorship to us- and your encouragement to study the word deeply! God has been teaching me of the love of Christ that surpasses knowledge, and I am learning to be more and more grounded in his love and mercy. God is also teaching me to turn to him each day and pray to be “strengthened with power through his Spirit”! You’re welcome, Lorraine! It’s my privilege! God has been teaching me about the wonder of his Creation – particularly his spectacular design for the human body and its ability to produce new life :). How can anyone believe it was an accident? Please continue to give a variety of tools on different ways to study passages of scripture. I always learn something new. The most important thing I learned from the study was day 21. Separating all my different worries in to different parts of verses 5 and 6. I love Pam’s studies! Wouldn’t change a thing. I go through them first and then take my kids through it. Thank you! I have been reminded that I am to live in His home and He promises to cover me and protect me. Nothing can happen to me that surprises God. I will have a long life and be satisfied and I will see God’s victory! Our battle is not with each other. It is with evil and principalities and unseen powers. I am learning to seek God as my Refuge throughout my day when I’m overwhelmed and worried about different things. Lord because I have made you my dwelling place- You the most High are my refuge! Honestly I really enjoyed this Bible study of Psalms 91. I can’t think of anything you could improve upon. It was a blessing to have found you and your resources are wonderful helps. The Lord knows just when to put the right people in our paths. Thanks. One of the things that I enjoyed best in the study of Psalm 91 was drawing concepts. I am NOT an artist at all but my little pictures made the truths come alive. I especially loved the one from verse 1, “He who dwells in the shelter of the Most High will abide in the shadow of the Almighty.” Such a safe place. I also liked a word picture I drew of “His faithfulness is a shield and buckler.” I drew two circles, one inside the other, with all the synonyms and word meanings for shield and buckler. And I am in the middle, doubly protected by God’s faithfulness. God showed Himself strong through the study of this Psalm and my sense of His care for me grew so much! The drawings really DO help us process the truths we’re studying, don’t they? That’s why I keep urging on those who consider themselves non-artistic. WE don’t have to be artists to make these kinds of notes! One of the most important lessons that the LORD has been teaching me lately is how easily I can be like the Pharisees and fall into the form of religion and not the heart of following my Beloved. Memorizing the Sermon on the Mount brings me face to face with this and I need to come back to my First Love. I am by nature a quality control person. I wish I wasn’t but I am. I just see how things could be improved, organized better, added on to, refined, expanded, etc. I love your studies and can’t find anything to say to improve them except to have more of them! I am thoroughly blessed to have found them. May the LORD continue to inspire and instruct you as you prepare new studies to bless others with. You sound like you would be a good proof-reader/editor, Julie! 🙂 Thanks for your encouragement! -loved the daily lessons..just enough to spark further study…could go longer or shorter depending on the craziness of the day. Appreciated your pictures/snap shots of your study and help me imagine as I am not an artist….and also helped point in the right direction if I wasn’t sure what type of answers to be searching for. No changes at this time. -A deeper meaning of what “My God, In whom I trust!” means…..that saying I trust in God has to translate into my actions…to have true confidence, safety, be “careless” and be bold and secure…..defining the word trust really helped me meditate and pray over God to help me truly learn to trust in him in all of lifes trials. -to be immersed in the truth of God daily…to mediate on his holy word so that I have his truth to fight against the attacks of satans lies. I’m glad you find the pictures helpful Kate! I’ve hoped they would offer some additional guidance without making the written part of the lesson longer. 1. What suggestions do you have to improve Busy Mamas Bible studies? Extra guidance with BLB. As another comment stated, there’s often more than one definition or application of a word and it can be confusing at times to know how to apply the definition to the specific passage we are studying. 2.What is the most important thing you have learned from your study of Psalm 91? God will sometimes use dangers to protect us from another, larger danger. 3. Share at least one verse from your personalized paraphrase of Psalm 91 (from Day 30’s lesson). v3. He will save me from the enemy’s hidden traps. 4. What is the most important lesson God has been teaching you over the past six months? He has opened my eyes to the destruction of pride and taught me the importance of humility. And that I can do nothing well in my own strength. Regarding your suggestion, Allison, I agree! I actually had some information about the definitions in a lesson a couple different times, and then deleted it because the lessons were getting so long. (You wouldn’t believe how much I write that I end up never posting!) I’ll try to include that in the next study. In the meantime, looking at Gesenius in the lexicon can sometimes help narrow down which definition applies. But there are grammatical details that also come into play. The one thing God has been teaching me in the past 6 months is to be more specific in my prayer life. I have been keeping a journal since January and it’s awesome to see God move and answering prayers in a specific way! I need to keep a journal again. It’s such a powerful way to be reminded of God’s faithfulness and to see Him at work! -I wish I had some input on how to improve these studies, but I don’t. They are perfect for when you have little children and time is very limited, but you crave an in depth study of the Word. This is my 4th time doing one of your busy mama studies and I think it’s the best yet! -The most important thing I learned from Psalm 91-It is futile for me to fear anything because the Lord will fiercely protect me. I just have to trust that any troubles I experience are needful. God has been teaching me that I must be intentional about growing as a Christian. This includes spening more time in God’s Word each day. 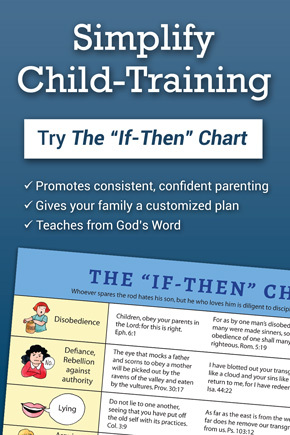 I have recently been doing the Child Training Bootcamp Bible study and it has been such a blessing to actually learn to study the Bible for myself and see what the Lord has said about training my children. Thank you! Glad you’re enjoying “Child Training Boot Camp!” And yes, we HAVE to be intentional, or life just takes over for us. I thoroughly enjoy your studies! God has been teaching me the value of humility and a teachable heart. Also that no amount of church, christian community, or sermons on tape will ever surpass how important it is to PERSONALLY spend time in His word. This is one of the reasons I enjoy your studies so much, the bible is the focus, not the supplement. Thank you for providing a study for this busy mama! I love to book of Psalm and studying it more in depth made for a rich and rewarding devotion. What suggestions do you have to improve Busy Mamas Bible studies? Nothing. Why fix what is not broken? It is so wonderful to do your Bible studies. I really don’t have any suggestions. The daily lessons are great. I look forward to the next one. I have gleaned so much from this Ps, that God will be with me through the challenges of life because he is my refuge. My favorite verse has been because I have made the Lord my refuge and shelter no evil will be fall my mind and spirit. God has been teaching me to grow my faith in Him. Thoroughly enjoyed your study again. Thank you especially for introducing us to Amy. I loved her statements: “I’m not undone by this diagnosis, ” and she can handle this bc, “It’s not the first hard thing she’s done.” That went along with the lesson of the Lord saving us “from” danger, “in” danger, and using a lesser form of danger. Oh! That blessed me so much and I will also use that wisdom in talking to family members that believe in the prosperity gospel that teaches we shouldn’t have problems. I love how you keep up with information and resources with your studies. It would be nice to have an app where we could download the lessons or studies so we could use our mobile devices and be offline. Learning how the different characters of God come through to give us thorough shelter, provision, defense and love of His own choice in spite of how I keep pushing myself ahead of his frontline to take control myself. How foolish I can be and too often. We have had a lit of very big changes this last year from new baby, to quitting my at home daycare, to a big job change for my husband keeping him away several days at a time, to a move to a new town new church, and living with in-laws for a year or two. I am not a flexible person naturally, but the Lord is showing me how to bend and change all while he is protecting and providing. He is blessing in ways I would have not thought of before. 1) How to improve? I like I that they are short, but also dig deep into the meaning of scripture. Don’t really know what to suggest for improvement! Thanks for doing such a great job! One of the important things I learned is that I can still memorize scripture! And that by taking more than one day to read a passage is so rewarding. I also learned more about what it truly means to trust in the Lord and how rewarding it can be to rest in him and find peace there. All great lessons, Nicole! Memorizing isn’t as hard as we think, once we start doing it! One important thing that God has been teaching me: well, I feel like I’m still trying to learn many things lately. But one would be the importance and application of slowing down and enjoying the little things with my children (which is something very challenging for me to do). I have read this Psalm many times and memorized portions of it, but studying it in depth gave me a much greater and deeper understanding of it. I understand God’s part and my part of taking shelter in Him much better. I learned the lesson of God being with me “in trouble” 17 years ago when I battled cancer. I also learned that nothing can touch us that doesn’t work for our eternal good. I believe what I have learned the most is that no matter what happens in my life the LORD is always with me. Just as He was in the fire with the 3 Hebrew children, there is nothing that I can experience that He will not go through with me. I don’t have to rely on my own strength or abilities, I can hide underneath His protective wings and know I am secure. I can have perfect peace no matter what storm is raging in my life. Lord thank you for allowing me to draw close to you and hide beneath you strong wings of protection. Please help my weaknesses and take them and turn them in to instruments for Your honor and Your glory. Let my life be a light so others may see that although I am weak and frail you are always faithful and true to your promises to be with me, to be my shield and my defense. I believe the most important thing the Lord has been teaching me is that He Is trustworthy, that He loves me and all His plans for me are for my good. I found it amazing that the last word of the Psalm, “salvation” can also be translated Jesus. So it could read, “With long life will I satisfy him, and let him see My Jesus.” That was very powerful for me. I love working with Blue Letter Bible. It is such a powerful tool for Bible Study. I am so glad it was used in the Psalm 91 study. This isn’t a suggestion for improvement so much as a reiteration about how they are done. I know with this Psalm 91 study, Pam did an informal poll to see how most people are accessing the blueletterbible site (mobile, laptop/desktop, etc), so she could best explain how to utilize it. MANY people are using mobile, which is super, but please don’t ever do away with the instructions for regular computers. I know it is a lot more work, but it is so great to have explanations for using things like BLB for users who are accessing it through all different interfaces. Thank you! Yes, Katrina. I decided that, even though so many are using small electronic devices now, that I should still stick with the main instructions for computer and websites, while attempting to still give direction for using the apps. I hope it worked out alright for all the app users. I didn’t receive any complaints. God has been teaching me to trust Him one day at a time and not to worry about tomorrow. The lesson has been extremely beneficial, as my 16 yr old daughter was recently diagnosed with RA. I will cry out and proclaim that He is my Lord, and He will respond to me. He will be with me during times of trouble, distress, and affliction. He will rescue me and deliver me and set me free. His presence will be heavy and weighty in my life. The most important thing God has been teaching me is that I need to be in His word each day. I’m so glad to hear you say this, Krissy! I love studying together, but the ultimate goal of Busy Mamas studies is to equip women to know how to really study the Bible — on their own or in a group! 2. The most important thing learned…no matter what comes my way in life, whether good or bad, Christ’s power makes every trial and every blessing a victory for His ultimate plan. In Him we cannot fail. 4. An important lesson God has been teaching me these last few months is TRUST. We recently surrenedered to the mission field and have begun deputation. Our lives have been turned upside down in a way and boy have we had to lean on God. We’ve gone from consistency and a stable income to living by faith each and every week. It hasn’t always been easy and doubts have crept into my mind from time to time but through it all, God has been beautifully providing and showing us that we are doing what He wants. From the smallest answers in prayer to the largest, God has gone ahead and provided so much. It’s been (and still is) a bi scary but I’m learning to continue to trust in the shadow of His almighty wings, knowing that He is faithful!! Hi, I don’t know of anything I’d change about the bmbs. It’s been a huge blessing and I love the way Pam encourages and teaches! Thank you for providing this resource. I am so thankful for it! The most important thing I’ve learned in this study…has been probably the all encompassing covering and protection of God. That there isn’t one place where I am not covered by His protection and love. My favorite verses paraphrased…if I MAKE the Lord my refuge, if I MAKE the Most High my shelter…When I CALL on Him, He will be there. He will answer me. I love this because it tells me that God is EVER FAITHFUL but it also reminds me that I need to do my part. I need to “make” Him my refuge and shelter. I need to “call” on Him. He’s always waiting and ready for me! An important lesson He has been teaching me is TRUST and to let go and let Him be the One in charge. There have been a lot of things that have happened this year where we did not have any control. He has shown Himself to be over the top faithful! The only suggestion that I have is to do MORE studies! This has been the only study that I’ve been able to stick with. Thank you! One of the things God has been teaching me is to trust Him and do good. Thank you for doing this giveaway! Sometimes a picture of what you are seeking for us to be doing that day- some days during Psalm 91 you included a “snap shot” of what you were asking (ie creating a certain type of list) but it could be hard to see what you were looking for. I realize it is my study so I can do what works best for me, but as a first time study attendee I appreciated the glimpse of what you were getting towards. To have God’s protection I’ve got to dwell in His word and presence daily. While He always is with me, I don’t always remember that if I am not making the effort to be in His shadow- I’ve got to be pretty close to be in His shadow. V.15: When I call to Him, He will answer me; He will be with me in times of tantrums and training; He will save me from despair and be near me. I love this paraphrase, Sara! When I try to step out alone, after a few hours/days/weeks- I will lose ground. I will crumble. I won’t be parenting from a deep well, but from a shallow puddle. I will get angry over things that don’t matter and I will not be actually training my kids but just getting by with them in tow. I have to be asking for the scales to be removed from my eyes and heart daily to actually soak in his word. I was wondering if you could collect a list of the study websites and the “extras” such as songs, Spurgeon sermons, etc. that you reference along the way during our study. Maybe it could be called “Psalm 91…. Day 0” or “Helpful Resources”. Then just add to it whenever you introduce us to new resources. The most important thing that I have learned and are still learning is to truly make God MY God. Understanding what that means to make the Lord my fortress and refuge and not turning to the world for comfort. You’re welcome! What you say is so true! It’s easy to think of God as “out there” instead of as MY very own personal, loving, powerful, protecting, disciplining, listening God! Over the past six months our family has been challenged to be intentional about everything we do. Prioritizing and asking the Lord to really direct us that we might make the most of every moment we have both with our children and in serving Him. I have been learning these last six months to rest in God’s Sovereignty. I feel at times as if I am at war with my sanity, and this lesson is a daily struggle for me. I really enjoyed and needed the Psalm 91 Bible Study! It was balm to my dry spirit. Thank you! Otherwise, I love them! Thank you so much!! Good suggestion about children’s lessons, Cheryl! I’m aware of the age issue with the children’s lessons, but haven’t made as much progress on adding ideas for the older children as I would like to! I’ll keep trying! I love the Scripture Typer App!! Never heard of it before and I had some much fun memorizing Psalm 91. I showed it to my daughter for Bible quizzing and she enjoyed it too! I LOVE Scripture Typer! Glad it’s been a help to you! I need consistent and lengthy time with Him each day to truly be the thermostat for our home- setting the mood and tone for our day. Otherwise I am a thermometer reacting and responding to everyone’s tiffs and whines. Thermostat or thermometer? Great analogy! I loved the study! I’ve been learning so much lately! About how God is with me, even in the small troubles of everyday. It doesn’t have to be a big deal, He is there! Also I’ve been learning to put people first. Unrelated to the study, but it’s something that the Lord has been convicting me about! Ah, yes! If we could just grab hold of the truth that God is always with us, always caring, always doing what is best for us! A dear friend of mine lost her child in a tragic pool accident this past weekend and we are resting in Gods sovereignty, peace and comfort. We have also been awaiting a new job for my husband and it is hard to be content, patient and rest while we wait. But God provides. That is the most important thing I have been learning at the moment. It sounds like God used His Word to prepare you for some tough situations. I pray you can be a real source of encouragement as you point your friend to God in such a very, very hard time, and that you will see God’s hand at work in mighty ways as you wait on Him for your husband’s work. I really enjoyed this study. I found the lessons very manageable, and yet very insightful and meaningful. I really appreciated the encouragement to memorize Psalm 91, and would appreciate more of this in the future. Over the past 6 months God has really being teaching me about having my identity in Him alone. Although I became a Christian at a young age, God showed me this winter how I have placed my identity in things of this world without even realizing it. This study added to the lesson for me, as I have been focusing on abiding in Him. Thank you so much for all you have done with these studies. You’re welcome, Larissa! And I’ll be happy to encouragement us to keep memorizing! It’s so powerful in renewing our minds and becoming more like Jesus! •What is the most important lesson God has been teaching you over the past six months? I have been learning that although its hard to trust that God knows all and to shut my mouth and just stop worrying. He has provided through all and not let me down, even at the last minute, so I know he will continue. I enjoyed the study although I fell massively behind due to life as it was short and sweet and something I could do with my kids although I do enjoy my quiet time alone with God. Thank you for all of the time and work you put into these studies! The more we see God’s faithfulness, the more we learn to trust Him. I think we should all keep a written record of what He has done for us, so we can look back on it every time we’re tempted to worry! The most important thing I learned during the Bible study was just trusting completely in the tender, personal, all powerful protection of the Lord. Thanks so much for the bible studies! You’re welcome, Amy! And yes, I love the way you describe it, “the tender, personal, all powerful protection of the Lord.” He loves us. He’s taking care of us. It has taken some time, but thank you for continuing to encourage us with “less developed artistic skills” to draw. The examples you gave were simple enough to help me draw, which has resulted in vivid pictures when I recall Psalm 91. Please, continue doing this. I do all of my studying on a mobile device; for this lesson, I printed out the Treasury of David & Gill commentaries. While it did use a lot of paper, it worked out better since these are more difficult to study on a small screen. So my suggestion is for these to be printed out prior to the start of the study. Bravo! I love to hear that we’ve talked a few more people during each study into doing the drawings! They help us meditate and remember so much better! As I was studying Psalm 91 the theme of always abiding kept reoccurring. Running to Christ is ok, but always abiding and clinging tight, regardless of the circumstances is where I want to always be. God has been teaching me (albeit the hard way at times) over the past 6 weeks to trust and cling to Him no matter what the circumstances are. I think the most important lesson God’s been teaching me is to TRUST Him – to live out the trust I say I have in practical ways. I really can’t think of anything to improve on. You’re doing a wonderful job. Thank you so much for the time and effort you’re putting in. Also, I really enjoyed that the giveaway included something for everyone this time, though I imagine that is probably not practical for your business every time! I definitely took advantage of your offer. Thank you. I am only on day 20 in the Psalm 91 study, so I can’t say for sure that this is the “most” important thing, but one important concept for me was in Day 15 about refuge. One definition for refuge was “the person to whom one flees.” How often do I turn to other people to help me instead of turning to God? I discovered in the cross references that we can make our refuge in lies (Isa 28:15), but the results won’t be pretty. It’s a sobering reminder that while other people or things may seem at times like safe refuges, there is only one refuge that is truly safe in a storm. Good insights, Joelle! He is the only refuge who will never fail us. In the past 6 months the Lord has been teaching me to trust Him every way every moment, every circumstance. I have always trusted Him but am finding even in the small things to do so and as soon as anything troubling or I feel I cannot handle comes up go straight to Him. Psalms 91 My mother in law’s favorite chapter. In the 40 years I have known the Lord I have went over and over this chapter. Recently with my mom in the nursing home she loves to have scripture read to her. This is one of her favorites too. But Pam with you I have gotten into the word more deeply and can share what I learn with others. I homeschooled also and my daughters love to learn more about God’s Word. Yes, Jolena! Getting into the Word at a deeper level stamps it into our hearts in a way that is more available for sharing with others. It makes it OURS in a new way. I have been really enjoying your study. This was the first I have done. I have found that working this way through verses really slowing down and taking my time to understand them has helped me to hear God speak. Thank you for all you do. That’s what I found as a young mother. I got so much more out of a passage (and could stay awake while I read) if I was looking for particular things, and really studying it. It also made the passage come alive in a much more personal way. I have really enjoyed going through Psalm 91. I am trying memorize more Scriptures. A time may be coming where we won’t have the freedom to have our Bibles with us anymore. It is comforting to know that He is our shelter and that He promises to deliver us. The past 6 months I have been learning to trust Him more and to relinquish my cares, concerns & burdens to Him and trust Him to help my family and I. His love is everlasting as written in Jeremiah 31:3. We know that we can fully trust Him to carry us through so why do we fret when trials come our way? He hears our prayers and cries for help. And He promises to never ever leave us nor forsake us. What a loving Heavenly Father we have! 🙂 May He be glorified through all that we think and say and do. Yes, I missed the charts, too, Amy. It seemed like this particular chapter didn’t lend itself to charts as easily. God has been showing me over the past year the importance of prayer. I have always been more of a “popcorn prayer” kind of person than a sit down for extended quiet times of prayer. I am trying to learn how to honor Him better in my prayers. Tim Keller’s book on prayer was very useful! My version of v1 : when I rest safely in the secret place of the uppermost Supreme God, I shall live under the shadow of the Most Powerful. The most important thing I’ve learned so far from the Psalm, is that I don’t trust God nearly as much as I thought I did/should. I think that’s true for all of us, Christy! Your Bible studies are truly my favorite. I recommend them to everyone. I had two family members join me this past study. I love how you teach us how in depth we can go into the Word and yet it’s short and doable. I’m the mom of 1,5,&6 year olds so study time is precious. Yet you make me feel like I’ve spent hours studying. Thank you for that gift. I’ve also learned and been convicted that I need to memorize the word of God more. How can I teach it to my babies if I’m not hiding it in my heart?! Thanks for these comments, Stevie! I’m glad God has used the studies to encourage and strengthen you! God has been teaching me to trust Him in *all* things. Last month my mother was diagnosed with AML, and passed away less than 2 weeks later. She hated to talk about spiritual things with me, but in the hospital I was able to talk to her while she was unresponsive. I must trust that God has a plan better than mine, trust that He works in peoples hearts, and that He wants me to be bold to conquer the seemingly difficult tasks at hand- because when I rely on the Lord, He walks me through each step, every time. I love the 30 Days Studies!! A small group of friends and I have been reading through them together and we’ve gone through Psalm 37 and are now on Proverbs 31. We love that you (Pam) have shown us practical ways to study on our own outside of a ladies’ Bible study. A suggestion would be maybe another character study, like the one we did recently in 1 Samuel. Thank you Pam, you are a blessing to many! The 30 days studies are perfect as they are!!! I do like the optional lessons as they kept me growing and learning all week. I have learned so much working on just this one Psalm and then bringing in cross-referencing verses just made it all the more exciting. Good idea, Briana, to do another character study! Abigail was easy to manage, since her story is all in one chapter of the Bible. Sarah, Esther, and Ruth, all women I’ve considered studying, will need to cover more than one chapter. But I definitely agree with you. Another character study is in order. How to improve Busy Mama Bible Studies: I feel like we spend a lot of time at the beginning of a passage and then rush through the last section of the passage. I haven’t ever used the paper format so maybe this is adjusted in those. My thoughts are that if you use the facebook/blog group as the test you could use as many days as needed and then see which lessons could be combined, edited, or left out for the final print version. I also want to lay a lot of groundwork at the beginning of a study. But then I always find myself running out of time at the end. We could have used a couple more lessons to thoroughly cover the last few verses. I’m hoping my suggestions for further study on your own will help fill the gaps I inevitably have to leave in order to keep the lessons short and finish by the end of the month. The most important thing I learned from Ps. 91: I think the biggest lesson for me is in a constant perspective change which helps me to trust God more fully. He WILL deliver, protect, rescue, shelter, etc. me but not in the way that I think of first. He will deliver me from danger, through danger, or by danger – but in Christ, I will always be delivered! This is the 5th or 6th Busy Mama study that I’ve done and honestly I can’t think of anything to improve them! I really liked the addition of the Instagram feed. Thank you for your ministry! I’m glad you liked the Instagram! It’s been fun to work with for me, too! SUGGESTION TO IMPROVE ON BUSY MOM’S BIBLE STUDIES: I’m not sure there is any improvement necessary. Most issues that come to mind really aren’t on your end. For example, one thing I found myself wondering was how I could more efficiently follow instruction without having to go in and out of tabs that were open as the study progressed- one tab was the blog, another was the blue letter bible website, etc. If I forgot exactly what I was looking for, I’d have to back track to one of the tabs and re-read the directions. On the flip side, I really appreciate the tools that I can now use for future studies. Thanks so much! We’ve contemplated how to remove the tab-switching obstacle, but have not come up with a good answer yet. Something to pray about! THE MOST IMPORTANT THING I HAVE LEARNED FROM THE STUDY: The most important thing I have learned on a whole new level is just how powerful God’s word really is. There have been so many things that have come up in my own life, my children’s lives, a phone call with a friend, or praying with someone, and a verse or verses from Psalm 91 came to mind. I was able to share that for comfort, encouragement, etc. It’s not the same as offering words of encouragement (though that is good as well:). It’s edifying and impactful and I’m excited to continue in these busy mom studies and commit more scripture to memory. That’s exciting, Kim! We’re much better equipped to truly encourage others when we have the Word in our own hearts, ready to speak into the lives of others. ONE VERSE FROM MY PERSONALIZED PARAPHRASE: Lord, you are my refuge and my fortress, my protector, I can fully trust You. THE MOST IMPORTANT LESSON GOD HAS BEEN TEACHING ME IN THE PAST SIX MONTHS: When I put God first and make time for Him daily, my perspective is so much better. It’s more Christ centered than me centered. Thank you so much for this special Bible study. It has helped me so much as I went through a rough season while doing it. God taught me to rest in Him and let Him handle the situtation. I took refuge in His shelter and learned again that He is my raft as I undergo life’s storms. It sounds like God gave a lot of us plenty of opportunities to apply Psalm 91 to our lives over the past few weeks! I’m glad it was a help for you! The most important lesson the Lord has been teaching me is the importance of prayer! Why do we have so much trouble remembering this? It’s so easy to wait until we’re REALLY desperate before we think about praying, but it’s so amazing to pray and then watch God work! I think this is a lesson wants ALL of us to learn! It’s so easy to start thinking it’s all up to us, when what God really wants is for us to rest in Him and follow His leading. The last six months have been a tumultuous time in my life. Family relationships were strained, new work situations and finally the passing of my dad just this past week. I’ve learned that more than anything, relationships are much more important than material things. The most important relationship is with Jesus Christ and no matter what happens with other people, we can always trust that He has our best interests at heart. Thank you for your study. I have learned so much about the psalms. I have never studied a Psalm so in depth before studying Psalm 91 so it was neat to learn about parallelism and other literary devices. I think it would be neat if you could incorporate a podcast as part of the study. I love listening to podcasts. missed the giveaway, arg! Oh well. One suggestion I was thinking of that could be added was a section for older children…. I have been doing this study with my children (who are 8 and 10) and I’ve been doing a lot of the adult section with them (highlighting and picking out words and writing things down in a special notebook). I don’t know if it would be possible to do a split section for children, keep the one you’re doing now, but add a section for older children that is a lot like the adult version, just simplified. I know my children have enjoyed writing things down in a special notebook and picking words out of the passage. It is a blessing to see!! Yes, Laura! This is something I need to give more thought and attention to! Thanks for your reminder and encouragement. I’m writing your suggestion down in my notebook now.